She says her mother "became the face of so many others who may have been able to benefit from medical cannabis in the state of Maryland had it been available." 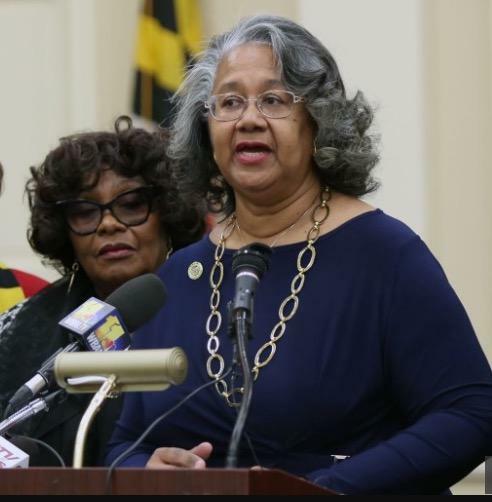 Glenn, who represents Northeast Baltimore, says she’s going to introduce a bill to overhaul the commission to create more transparency and more diversity among the licensees it authorizes. The state’s medical marijuana commission, named for Glenn’s mother, awarded preliminary license approvals to 15 growers and 15 processors in August. But only one of those companies is run by African Americans. Subsequently, two higher ranked companies sued the commission for elevating two lower ranked companies above them. Then in October, Alternative Medicine Maryland, a minority owned company, sued the commission, arguing it failed to take diversity into account when choosing licensees. More recently, the panel announced it would issue preliminary licenses for 102 dispensaries statewide. Glenn says her original legislation required the commission to "actively seek racial diversity, ethnic diversity and geographic diversity." Despite the language in the bill, an advisory letter from the Attorney General’s office said the commission could only consider race if there was evidence of disparity in the industry. Glenn said commission members "misinterpreted" the letter. And, she said, the lack of diversity in the medical cannabis industry is not limited to Maryland. "Nationally there are approximately 60 licenses held by various individuals who may have operations in several states," she said. And "less than one percent are held by African Americans." 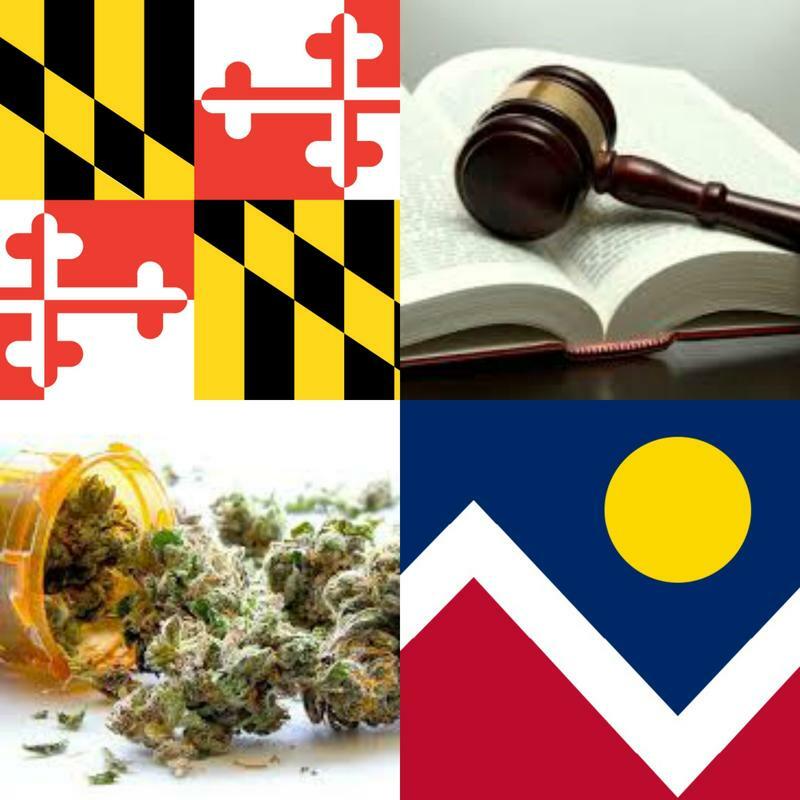 Still, Darrell Carrington, the executive director of the trade organization representing the cannabis growers, processors and dispensaries in Maryland, says there is "plenty of space for everyone here in this cannabis industry as it is forming." The commission recently agreed to hire a diversity consultant to review the medical marijuana industry. Meanwhile, opening day for the dispensaries awarded licenses is still months away as background checks are vetted and spaces still have to be approved before a license can be hung on the wall. Still, Philip Goldberg, whose company, Greenleaf Medical, was awarded a cultivation and dispensary license, isn’t deterred. He says his company is "hoping to create real medicine that is going to have an incredible impact and improve the quality of life for people across the country." At Elevation Underground, a clothing and tobacco shop in Towson, manager Elizabeth Fonti says she deals with anxiety issues and that cannabis helps her. Her problem, she says, is when she has to buy it illegally she’s not sure what strain she’s getting. It would help, she says, if she had a physician’s prescription and would know what she’s getting. With active law suits and the cannabis commission under scrutiny by lawmakers, it may be a while before Elizabeth gets that relief.